With MELT, our experiments in the technologically advanced field of vacuum metallisation takes on a new twist. MELT Copper is a distorted lighting globe born from our collaboration with Swedish radical design collective FRONT. 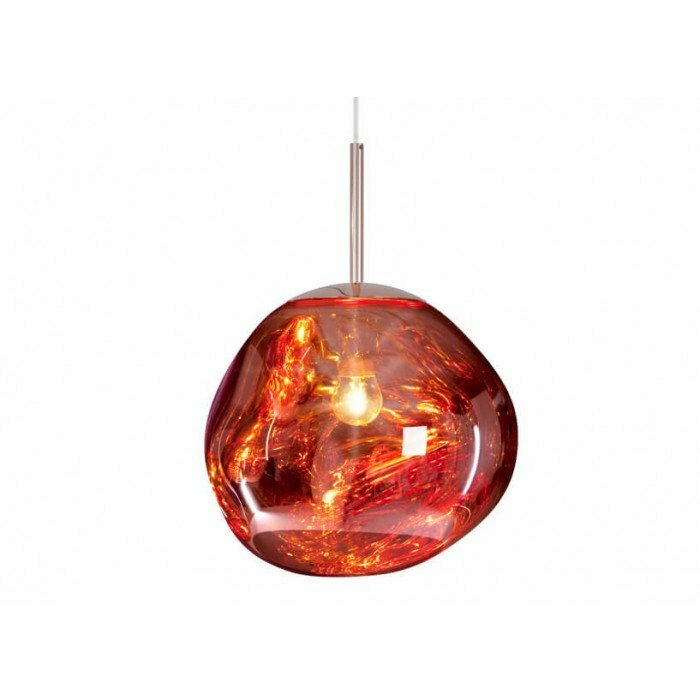 The light bouncing and reflecting around the uneven surfaces creates a dramatic melting hot blown glass effect. MELT is translucent when on and mirror finish when off. Its internal luminosity is visible in full daylight.